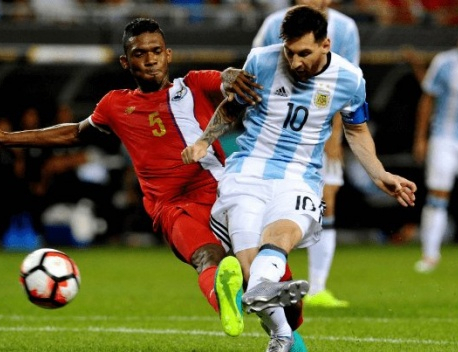 FOXBOROUGH, Mass., June 19: Lionel Messi scored and added two assists in his first Copa America start this year to lead Argentina over Venezuela 4-1 on Saturday night and into a semifinal against the host United States. 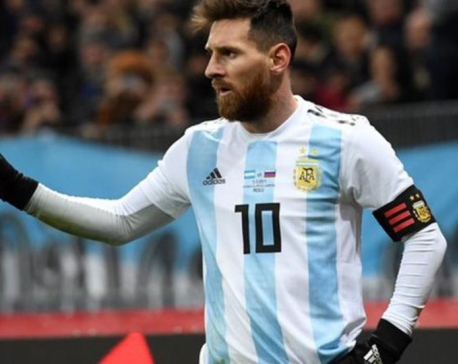 Messi's goal in the 60th minute gave Argentina a 3-0 lead and was his 54th in international play, tying the national record set by Gabriel Batistuta, according to Argentina's governing body. The Barcelona star also took over the Copa America scoring lead with his fourth goal of the tournament. 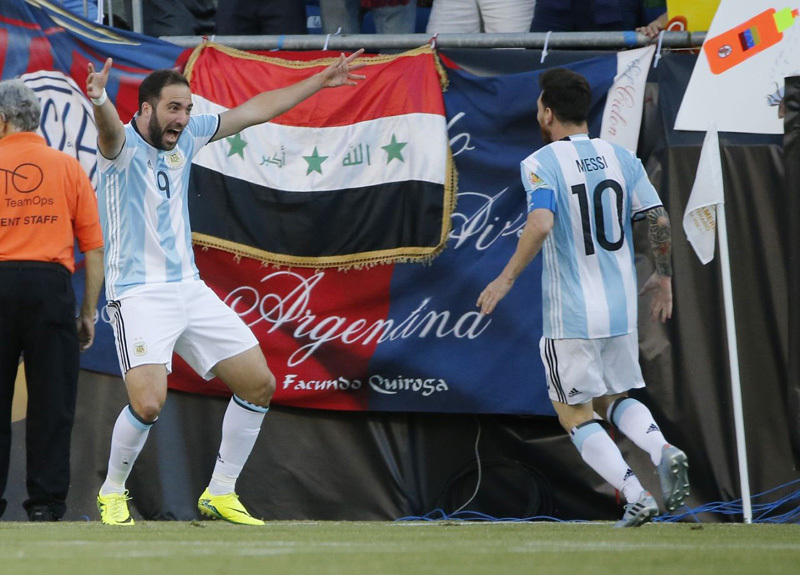 Argentina now has two days to rest before playing the U.S. in Houston on Tuesday night. The Americans have been off since beating Ecuador on Thursday. With many in the Gillette Stadium wearing No. 10 from Messi's national team and La Liga jerseys, the five-time FIFA Player of the Year started the game after playing a total of just 74 minutes in the three group stage matches. Just eight minutes in, he connected with Gonzalo Higuain on a long entry pass to make it 1-0. Messi gathered it in from the sideline and lofted a long pass to Higuain, who split two defenders took the ball on a short hop and booted it in. Higuain scored again in the 28th to make it 2-0, picking up an errant backpass by Venezuela midfielder Arquimedes Figuera and sidestepping goalkeeper Dani Hernandez before left-footing it into the net. In the 42nd minute, Argentina goalkeeper Sergio Romero took out Josef Martinez's legs with a headfirst dive. But on the resulting penalty kick, Luis Sejas tried to scooch it straight up the middle and Romero took a small stutter step to his left before catching it. Messi made it 3-0 when he took a pass from Nicolas Gaitan just outside the 6-yard box. Venezuela finally beat Romero in the 70th minute when Salomon Rondon headed the ball in, nicking the post on the way. But Messi assisted again on Erik Lamela's goal a minute later to make it 4-1. Argentina is 6-2-2 against the U.S., with the teams playing to a 1-1 draw in a 2011 friendly in East Rutherford, New Jersey. The last American win was in a 1999 exhibition in Washington, D.C.
Bautista also scored twice in an exhibition against Slovakia in 1995 that is included in FIFA's records but not the national federation's. Lionel Messi fires Argentina into quarter-finals!